If you haven’t been to the 33rd and A area for a while, I’d advise you to check it out. The little grocery store near the intersection, A Street Market, has undergone an extreme makeover and now looks like a gourmet grocery store from the outside. And just up the street, at 1353 S. 33rd St., is my new favorite store in Lincoln, Simply Bungalow, which is nestled right next to another jewel of an antique store called Nelly’s Nest. They are both relatively new stores, and Simply Bungalow is owned by a mother-daughter pair. If you like primitives or shabby chic or farmhouse furnishings, check them out. Just across the street, they recommend the food at a sub shop called Sips-n-Subs. All of these owners are all about this little neighborhood renaissance. There are other stores — like a shoe repair shop — worth checking out, too. You can also find Nelly’s Nest and Simply Bungalow on Facebook and the Internet. I, too, love the new look at 33rd & A! All of these businesses (and more) are a great asset to our neighborhood. Be sure to check out National Pharmacy, too. I did a lot of my Christmas shopping there last year, plus their pharmacy is the best! Sips and Subs is great – check out their veggie wrap – too good!! The shoe repair shop is the one that used to be on P Street. They are great people and run a nice business. Wagners is a fabulous grocery store. I started going there to pick up one thing I needed (bread or milk) and am SOLD on that store. Quick in and out. Wonderful people. They have everything you need. And their produce and meat is top quality. Best bacon wrapped tenderloins in town at a decent price. Fresh flowers. They also have “local” baked goods (Le Quartier bread, wilbur kolaches and other goodies). I dropped in today and even with only two bags they insisted on carrying them to the car for me. The shoe repair store does a great job. I’m with Deb and love the drug store. And that particular Val’s makes the best pizza in town. 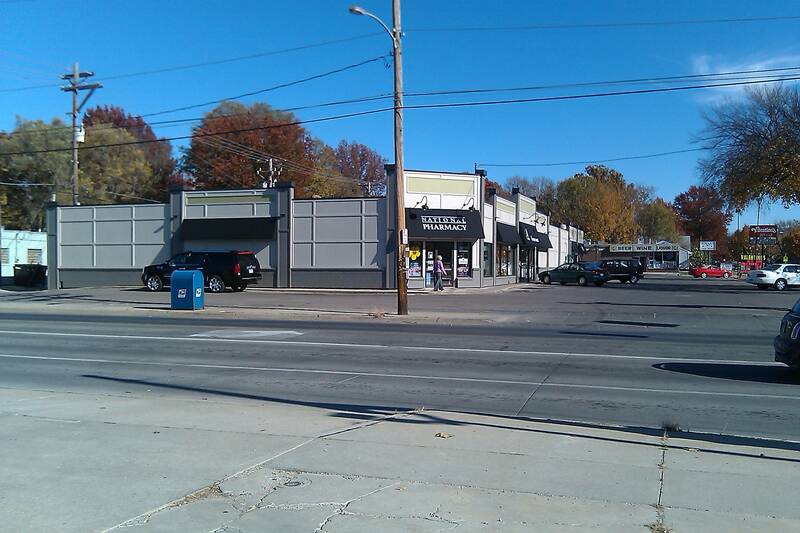 Just don’t tell anyone or everyone will want to shop at 33rd & A.
Congratulations to Larry & Vicky at Wagners. They did a masterful job with their building!! This is small business at it’s best. The Sips and Subs is a fantastic sandwich shop, love eating there. The shoe store is owned by a life long Lincoln lady named Holly, known her since grade school. Yes, I want to say way to go small business owners on 33rd & “A” street, you, you did this without the interference of the city government! Deena – Thank you so much for the wonderful review of our shop. So happy you found! Hope to see you at the shop soon. Congratulations to the 33rd and A Street neighborhood!! I lived near 35th and F for 15 years and it is awesome to see the neighborhood renewal that is ongoing. Kudos to the Wagner’s/National Pharmacy/Valentino’s center for a beautiful renovation! I also absolutely LOVE the two new shops that are now occupying the former Bike Pedaler’s location. Nelly’s Nest is one of the finest country antique shops in Lincoln and Simply Bungalow has a fresh new look on shabby chic. I hope everyone takes a moment to stop in and visit these new businesses that are helping to keep the neighborhood alive. I lived near 35th and F for 15 years and it is awesome to see the neighborhood renewal that is ongoing. Kudos to the Wagner’s/National Pharmacy/Valentino’s center for a beautiful renovation! I also absolutely LOVE the two new shops that are now occupying the former Bike Pedaler’s location. Nelly’s Nest is one of the finest country antique shops in Lincoln and Simply Bungalow has a fresh new look on shabby chic. I hope everyone takes a moment to stop in and visit these new businesses that are helping to keep the neighborhood alive. 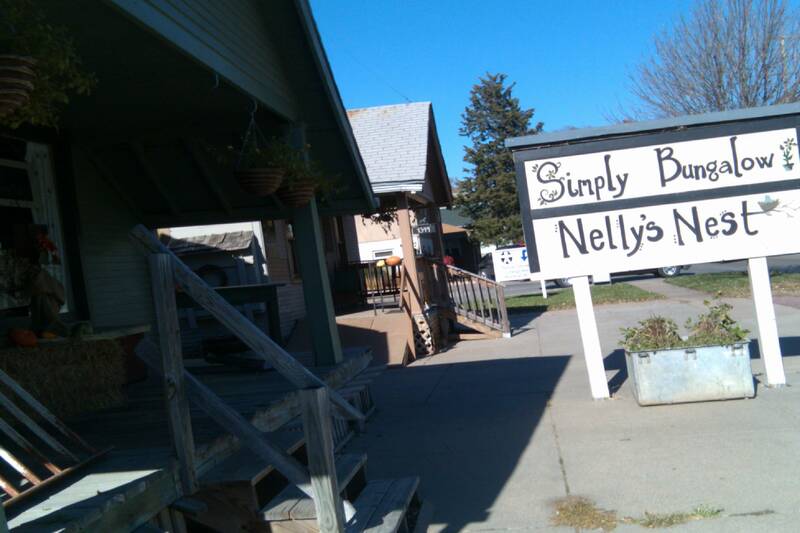 Thanks so much Deena for posting about my quaint shop, Nelly’s Nest. I LOVE this neighborhood, and I love that I can be a part of it! Thank you Deena for bringing attention to our neighborhood. We are so happy to be a part of such a wonderful neighborhood with such pride in supporting locally owned businesses. Sips & Subs has been a part of 33 & A scene for nearly 6 years, and could not be more pleased to serve our neighbors.